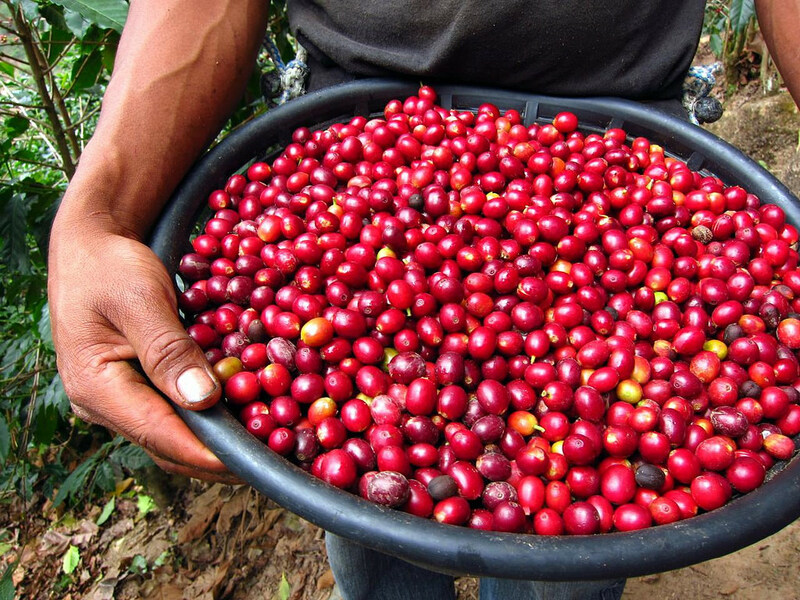 It’s easy to forget that coffee comes from a fruit, since hardly anybody outside of coffee-producing countries ever gets to see it in its natural state. Coffee grows on spindly, bush-like plants, and its cherry-like fruit ripens over the course of several weeks approximately nine months after the shrubs’ jasminey blossoms bloom and fall. When ready for picking, most coffee cherries range in color from blood red to a kind of deep, smokey burgundy, becoming sweeter as they mature. The fruit’s skin is taut and snaps like a bell pepper when you pierce it. Inside there’s a sweet, sticky pulp layer that tastes something like watermelon, rosewater, and hibiscus all at once. (And taster beware, as I learned the hard way: there’s not much meat behind that red skin, and chomping too hard could lead to some serious dental work). Next Post How Do You Brew?